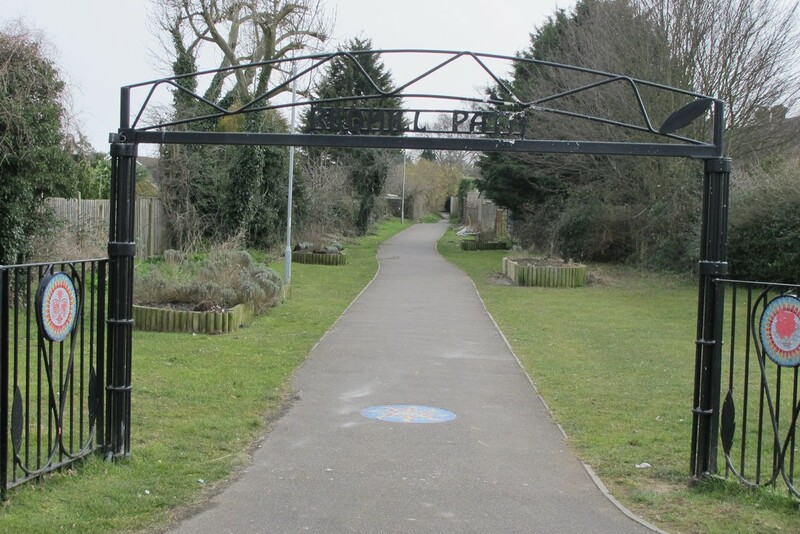 Could you help improve your local paths? It is about a year since many Forum members were working to produce surveys of Hitchin’s footpaths. The report that was prepared was forwarded to the Countryside Access Team Leader at Hertfordshire County Council, who suggested that the Countryside Access Officer for North Hertfordshire would be the right person to progress matters. We met and explained that our reasons for wishing to see improvements to Hitchin’s urban footpath network, both in terms of Hitchin’s increasing traffic problems and the health benefits of walking. HCC’s Rights of Way Improvement Plan (RoWIP) focuses on rural paths used largely for recreational walking. We pointed out that improvements to urban paths would be likely to have greater health and environmental impact. In spite of the job title the Countryside Access Officer (CAO) is equally responsible for urban paths, and would be our first point of contact in terms of seeking action on footpath issues. However, it is important to realise the limits of HCC’s responsibilities in footpath maintenance. HCC is responsible for structures (e.g. gates and stiles) surface, and issues such as overhanging trees. Graffiti, fly-tipping and litter are NHDC responsibilities. However the County’s budget is limited and improvements can only be made when appropriate funding becomes available. Armed with a priority list identified locally, decisions on the allocation of such funds as become available may become easier. 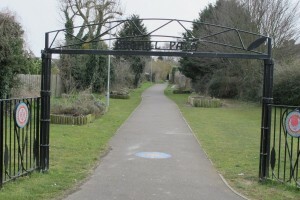 – take part in a joint site visit to investigate ways of making the short road section of the HOOP to the east of the Wymondley Road rail bridge safe for pedestrians. Longer term, we discussed ways to improve signage and promote use by exploiting the potential to develop walking routes incorporating footpaths and quiet roads (e.g. between local schools). One of the suggestions in our original report involved volunteers (Footpath Wardens) taking responsibility for a number of paths to keep an eye on various issues such as damage, fly-tipping and over-hanging vegetation. Some of these issues are HCC responsibilities and others are NHDC’s. From the HCC point of view the officer is happy to work with us on this. What would the wardens do? If people volunteer we would like to know what they think they can realistically do. • Walking a set of local paths regularly. • Notifying us or council officers direct of issues (NHDC have forms to report fly-tipping, abandoned vehicles, graffiti and dog fouling). 2. How often would you be prepared to walk your local paths? 3. Would you prefer to notify HCC / NHDC directly, or to notify us so there is a single point of contact? • Would you be prepared to clear litter? • Would you be prepared to clear weeds? 5. Do you have any further suggestions?